Three Filipinos were among the 298 passengers and crew aboard Malaysia Airlines Flight MH-17 which was allegedly shot down in Ukraine. Assistant Secretary Charles Jose, spokesperson of the Department of Foreign Affairs, confirmed the news in an interview with media Friday morning, July 18. "Kinukumpirma natin may tatlong Pilipinong sakay on board MH-17, based on info released by the Malaysian and Dutch governments," he said in an interview on dzBB radio. Asec. Jose also told ABS-CBN's morning show Umagang Kay Ganda that the DFA received the information from Malaysian and Dutch governments. However, the names of the 3 Filipino passengers (a mother and her two children) onboard Malaysia Airlines Flight MH-17 are yet to be disclosed. The DFA official reportedly said Philippine embassies in Manila and The Netherlands are ready to assist the families of the nationals who were among the fatalities. 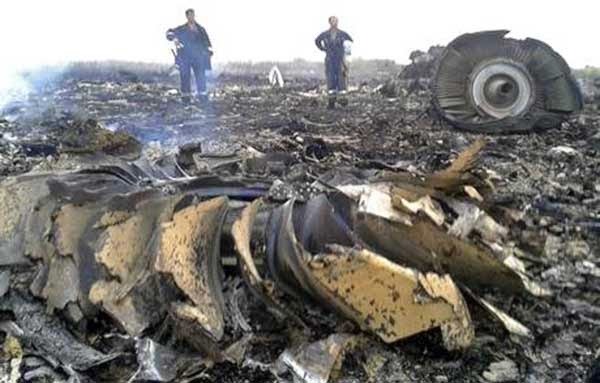 The ill-fated plane crashed after it was allegedly hit by a Russian-built anti-aircraft missile weapon while flying over Ukraine airspace en route to Kuala Lumpur from Amsterdam. The Ukrainian government accused pro-Russia separatists of doing the "terrorist act".